The BRIC countries (Brazil, Russia, India and China) must play a central role in developing the new world economy, President Dmitry Medvedev told Channel One news. “In my opinion this was truly an outstanding or even historic event – a new format for addressing global problems has emerged. China and India are the biggest countries by population, while Russia and Brazil are the biggest countries by territory, and in fact, our populations are not low either,” Medvedev said. The Russian President reminded that together he BRIC countries comprise about half the planet’s population. “Of course, the solution to many global problems, including our response to the global financial crisis, very much depends on the decisions made by these four countries. The fact that we gathered together at this summit and discussed the global agenda, discussed how to overcome the consequences of the global crisis, discussed the future of the world’s financial architecture means a lot. We need to make sure our countries, where billions of people, live take part in defining the new rules – otherwise we’ll regret it bitterly afterwards,” Dmitry Medvedev said. During the recent summit in Yekaterinburg, the world's leading emerging economic powers have agreed to cooperate to strengthen financial and energy security during the ongoing economic crisis and to define the parameters of the new global financial structures. The BRIC countries see themselves as a major driving force for the global economy. 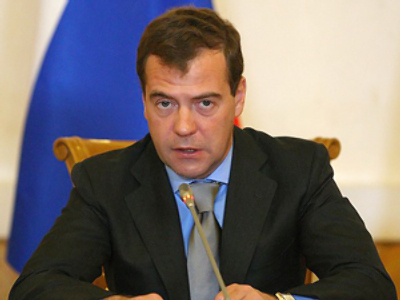 President Medvedev has also touched on the Kyoto protocol issue. He said it would be fatal to neglect changes in the world`s climate and explained what steps Russia has taken to reduce gas emissions. “Despite certain difficulties, we have taken up the Kyoto obligations while many western countries have chosen not to. Also, Russia believes that in the future we should act responsibly with regard to energy conservation, energy efficiency and greenhouse gas emissions. One of my first decrees as president declared that the Russian economy must reduce energy consumption by 40% by 2020. This is a serious task,” Medvedev said. The Russian President has stressed that environmental issues will have a major impact on both Russia and the world climate, but it must be agreed about what to do next. “People keep talking about the Kyoto period or the post-Kyoto period and what needs to be done. We do need to set benchmarks for greenhouse gas emissions because they have an extremely negative effect on the world climate. Frankly speaking, we hope our partners will take similar steps because, as I’ve said in the past regarding climate change, either we work together or we relax and don’t do anything, but that would be fatal. It would mean that soon we wouldn’t be able to sit by a lake and listen to the birds’ chirping, as we do now,” Medvedev said. The Kyoto Protocol was adopted in December 1997. The document came into force on February 16, 2005. By that time it had been ratified by 156 countries, including all developed countries except for the USA and Canada. 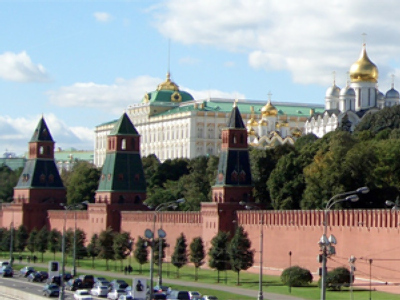 Russia signed the protocol on February 11, 1999.